Good to be back readers, and fellow bloggers. As always I know how long its been. I always have reasons for these prolonged absences, and they have been real reasons. Unfortunately, procrastination has been one of those reasons, a big reason why I've struggled to finish some things. I'm hoping by admitting that, I can finally face it, and do something about it; starting with more writing. And more blogging. Of course I have my usual writings. 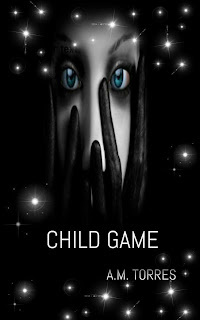 I am currently finishing the latest novel in my Child Series "Child Game" while simultaneously wrapping up J and K Christmas. I wanted to release J and K Christmas sooner this year even if just on kindle for awhile. I wanted to give the book time to circulate, to make its rounds, well I hoped to get it out there. Give it a chance to sell something by Christmas. I suppose I still have a little time, but I hoped to make it different this year. But I'm a writer. I procrastinate. I wait too long. I get distracted. I'm a night person who struggles to think during the day. At least sometimes. But it always seems as if I have to do this, check that, and do a dozen things before I actually get to writing. I'll write a little, then back to the distraction. I've read that writing is 90% percent procrastination. I can say with certainty that this is true. For me at least. Despite this though I do get to writing. It doesn't matter when. I've realized that night time is my time to write. Perhaps that's all it is. Finding the time when you feel your most creative. I suppose that can be part of it. Or is it discipline? I have worked hard on my discipline which was worse years ago. I can admit that. In fact I can admit to many issues for the writer. Of course its different for everyone. But for me I am hoping to overcome procrastination or to at least use it to best of my ability to lessen it, and focus as I should.